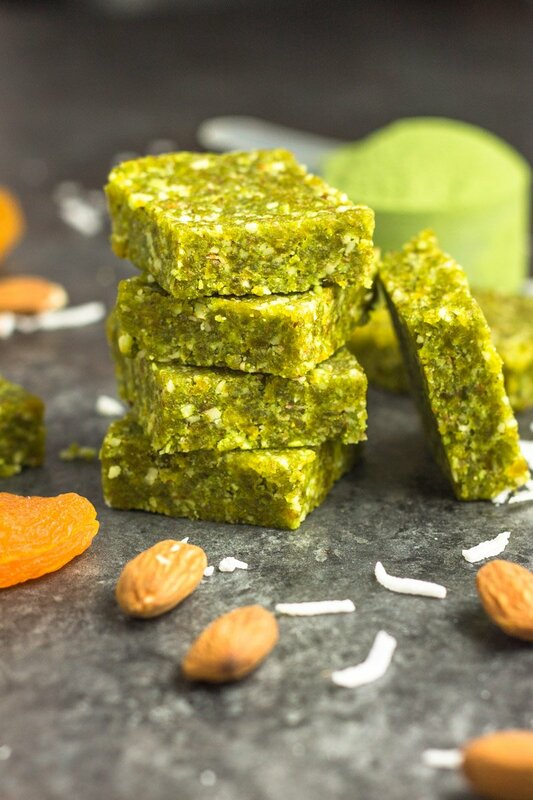 Matcha energy bites: a vegan, paleo, and Whole30 snack made with simple ingredients and packed with vitamins, minerals, and ten times antioxidants found in traditional green tea. 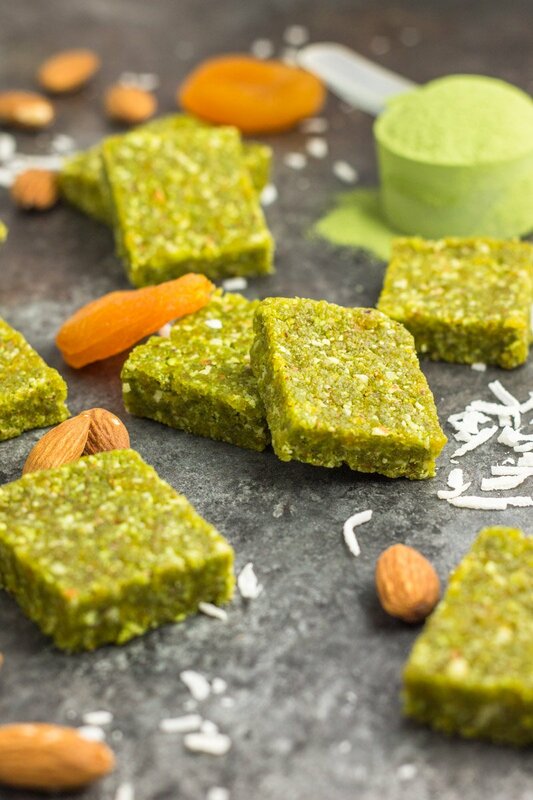 This portable snack is made with just five superfood ingredients. I’m not a ‘trendy’ person. I don’t wear the latest fashion threads (hello yoga pants all day, every day). I’ve had the same haircut for like 10 years now (long – easy peasy). I don’t really bother trying to keep up with my oh-so-cutely put-together girlfriends or my much younger (and cooler) sister. Call it lameness, call it laziness. I guess I just don’t really care. Don’t get me wrong, it’s not like I look like a complete hobo walking around the grocery store. And I like to think my workout duds are are spot on (at least I like to look good in the gym). But when it comes to being in style, I’m kind of behind the game. But I love following ‘foodie’ trends. Over-the-knee boots? Velvet leotards? Boho shirts that look like something I’d wear 8 months pregnant? Nope, sorry. But if someone told me everyone was eating algae covered dates and cacao-covered crickets, and rave about the antioxidants, probiotics, minerals, and vitamin superfood-ness? YES, throw it all at me – right in my MOUF! So when I started seeing matcha everywhere, I admit I was intrigued. Then I tried it…and let’s just say I was slightly underwhelmed. It kinda tastes like grass. But I was not giving up on the latest foodie trend. I could not NOT love this vibrant green powder everyone was raving about. So like any dedicated blogger sucked into food peer pressure, I kept trying it….and now I love it. GUYS, matcha with warm almond milk and a splash of honey is like, nirvana. Ok, I’m sold. 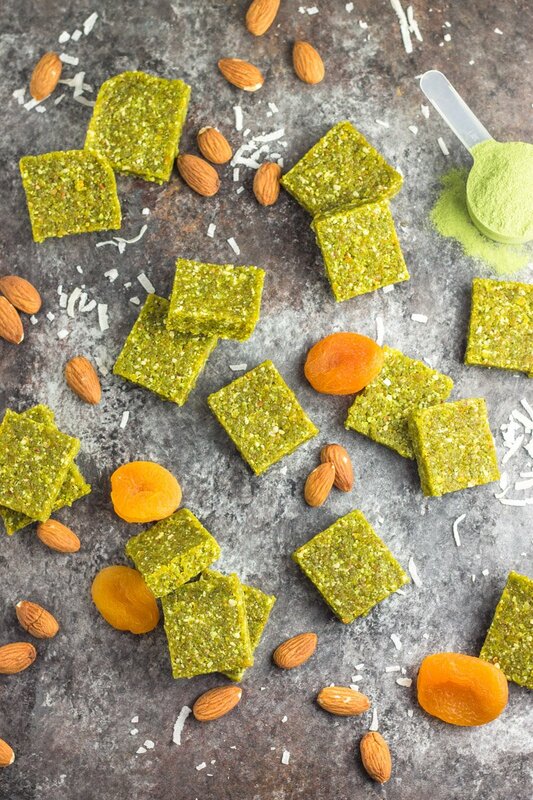 AND matcha combined with dried apricots, coconut, and almonds in these matcha energy bites is perfection. The grassy powder is transformed when combined with sweet apricots and it might just go down as my favorite Whole30 emergency snack. I love everything about ’em. Why matcha? Consuming the actual ground tea leaves (instead of steeping them when you drink tea), means you ingest ALL the nutrients, and get a nice boost of antioxidants (ten times more than drinking tea). Plus you get a caffeine boost without the crash that traditionally comes with coffee. BOOM. 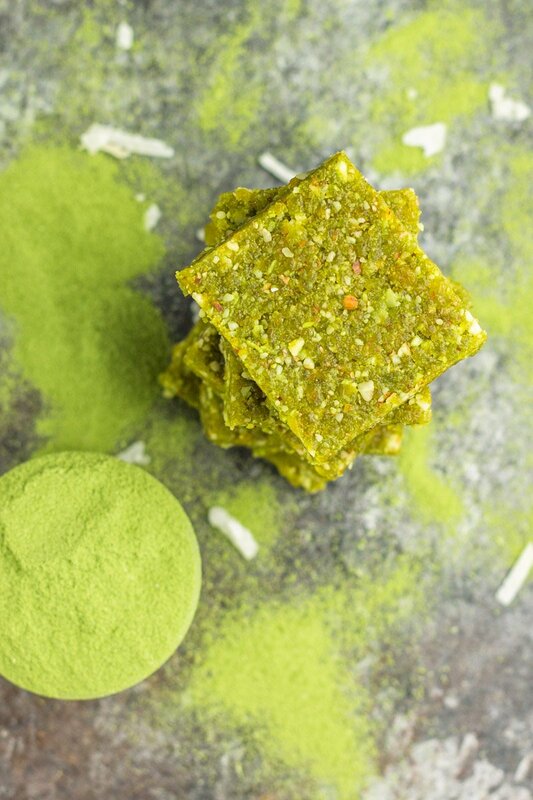 I used Vital Proteins Matcha Collagen to make my energy bites, because matcha and collagen just sounds like a match made in heaven. Get your container of matcha collagen by click HERE. You can also use plain matcha (see recipe notations). 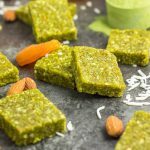 Make these Whole30 compliant matcha energy bites to pop on-the-go for a boost of energy any time, any day. Love portable snacks like this? Try these paleo almond cocoa mocha energy balls, 3 ingredient paleo blueberry bliss balls, fresh fruit & veggie snack pack ideas, and these 5 best pre-workout snacks. And if portable eats are seriously your jam, be sure to check out these portable paleo breakfast ideas post too! Girl you know the way straight to a Whole30er’s heart. These look AMAZE. Thanks for always bringing the yummies. Also hope you get home soon 🙁 Stay warm! Could you use dates instead of apricots? Absolutely. Although I’d use half the dates, 24 would be way too much!